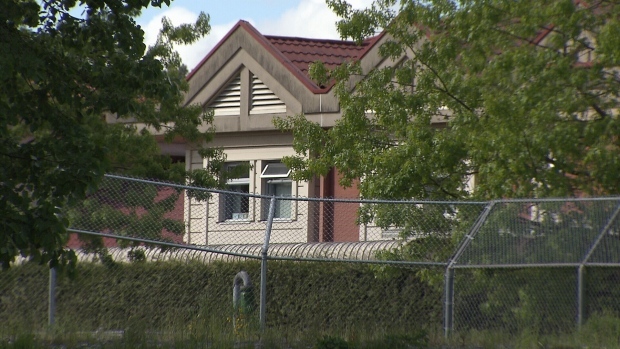 A local psychiatric hospital is facing the largest fine ever issued by WorkSafeBC for failing to maintain a safe workplace for staff, the BC Nurses' Union says. The $646,304.88 penalty was levied to B.C. 's Forensic Psychiatric Hospital, a secure facility responsible for the treatment of patients who have come into conflict with the law but are deemed unfit to stand trial or not criminally responsible due to mental illness. Patients include Allan Schoenborn, who killed his three children, and Terrance Scott Giesbrecht, a man with severe schizophrenia who killed two men and has escaped the hospital twice. The provincial workers' compensation board levied the administrative penalty in connection with two incidents that occurred last spring. In a statement, the BCNU said WorkSafeBC ruled the employer failed to maintain a safe workplace for staff and failed to assess and control the risk of violence. The union provided few specifics, but said the nurses that were assaulted while on the job remain physically and mentally traumatized. "Violent attacks on members and staff still occur at the site," the BCNU statement said. The union is now reviewing its options, including a request that the penalty funds be reinvested in safety and violence prevention measures. More than 200 members of its union are employed at the hospital, working with "the most clinically challenging patients in the province," it said. While the union said it supports WorkSafeBC's decision, the employer must do more to protect its workers. "If nurses do not feel they are safe from physical attacks they cannot focus their attention effectively on the patients' health," BCNU president Christine Sorensen said in the statement. The hospital on Colony Farm Road in Coquitlam has the highest number of violent incidents with injuries that result in compensation for lost wages, the BCNU said. Last fall, the B.C. Government and Service Employees' Union said employees released a startling statistic: in the span of just four months, staff members were injured by patients 21 times. "There has been a clear and willful pattern of neglect on the part of the employer in addressing these real and substantial safety concerns," BCGEU's Paul Finch said in September. The fine announced Thursday is not its first. The hospital has previously faced penalties for failing to train supervisors and workers, failing to instruct workers exposed to violence and failing to assess and control risk of violence. And in 2012, a health care worker was stabbed by a patient staying at the facility. In the fall, the chief operation officer of Complex Mental Health and Substance Use Services told CTV News a new "therapeutic and relational security" model was being introduced that the hospital hoped would curb the attacks on staff. "We share the union's concerns about safety," Dr. Connie Coniglio said in September. "Our nurses and our health care workers, they're our most prized asset. They make this place work. They're critical." She said the new approach involves anticipating violence and using de-escalation techniques. A few weeks later, the Provincial Health Services Authority announced the hospital would also be getting more staff, expanded security and specialized training programs.